Apple CEO Tim Cook said the company would ship Mountain Lion, the latest version of its OS X operating system, starting Wednesday. The announcement came in Tuesday's announcement of third quarter financial results, five months after it was first announced to tech journalists. The new operating system—version 10.8 of OS X—costs $20, down from $30 for its predecessor, Lion, and can be purchased and downloaded directly from the Mac App Store. Like Lion, Apple is allowing buyers to pay for and download one copy of Mountain Lion that you can install to multiple Macs—a welcome feature for multi-Mac households. As previously reported, Mountain Lion includes a number of features that integrate Macs more closely with iOS products like the iPhone and iPad, including iCloud integration, along with Mac-based versions of iMessage, Reminders, Notes, Notification Center, Twitter integration, Game Center, and AirPlay Mirroring. Also among Mountain Lion features: Voice dictation that converts your spoken words into text, along with the new Power Nap feature—available to laptops with solid state drives—which will find updates to Mail, Contacts, Calendar, Reminders, Notes, Photo Stream, Find My Mac, and Documents, then download and backup those updates to your computer while its asleep, so long as it is connected to a power source. 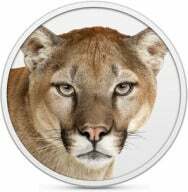 If you’re ready for Mountain Lion, you can read our full guide to help you prepare for Apple's latest OS. And check Macworld.com on Wednesday for our full guide to installing Mountain Lion.